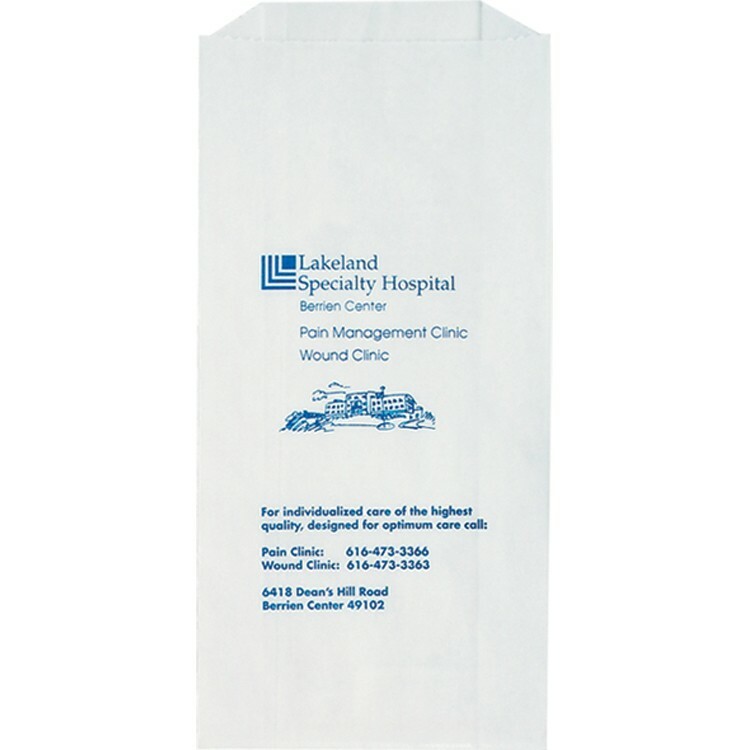 This 15x18x4 frosted die cut bag is made from 3.0 mil frosted HDPE film. 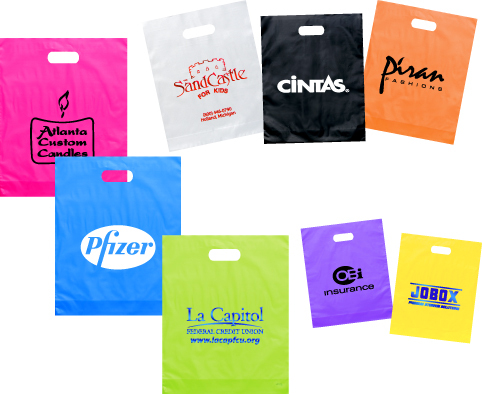 Choose from a variety of bag colors and add your own customization with up to 2 spot colors per side. An elegant looking bag for any occasion. 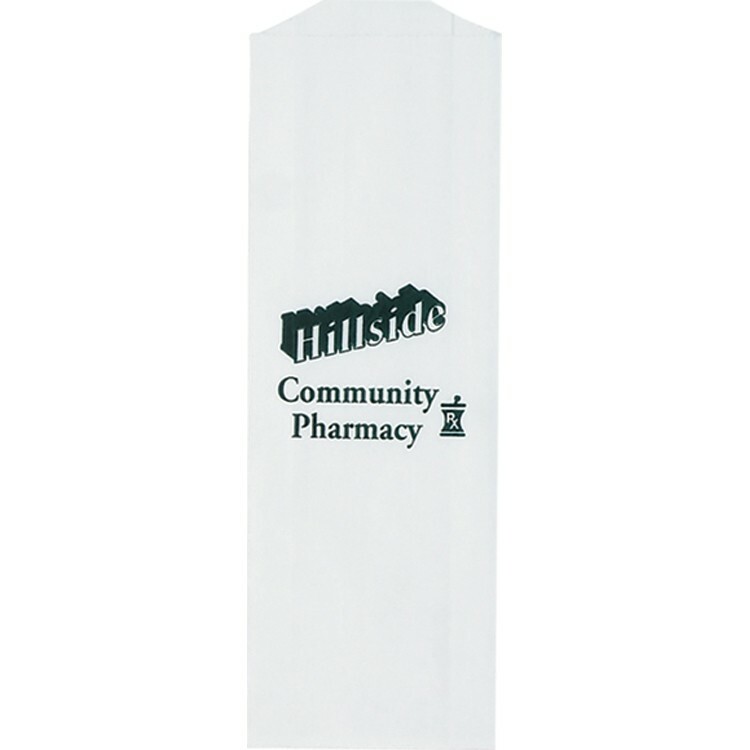 This prescription bag is made of white kraft paper. 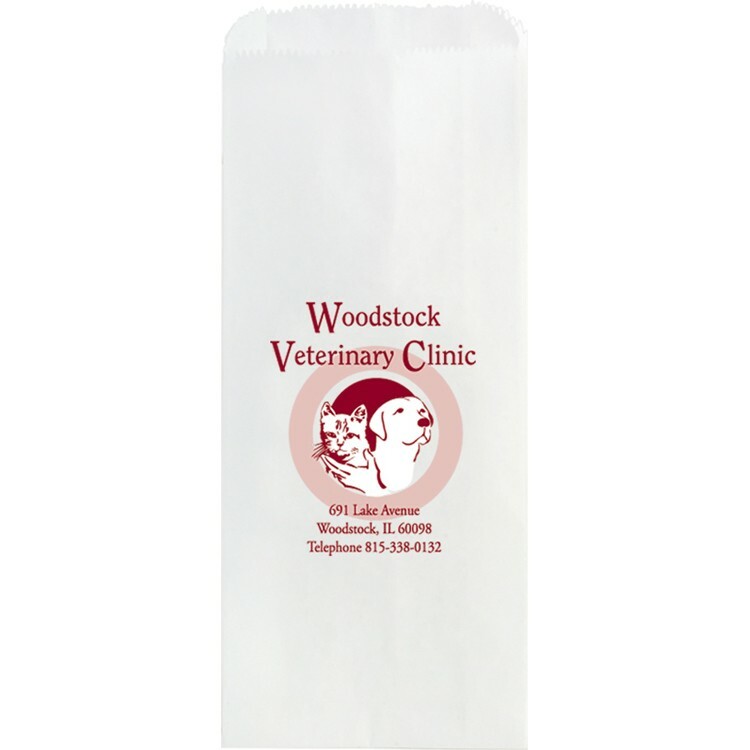 Perfect for pharmacies, veterinary offices and hardware stores. 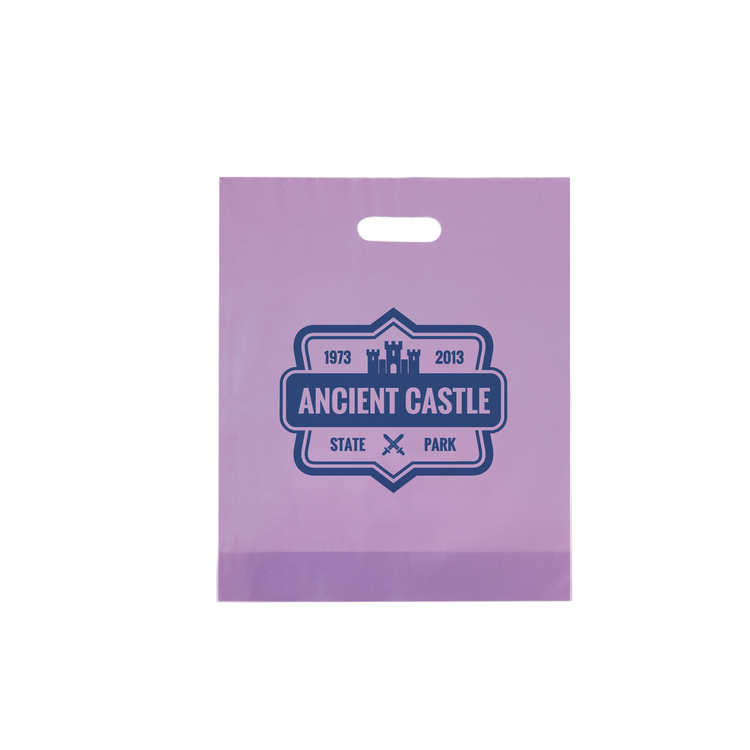 This bag can be customized with up to 2 spot colors on each side. 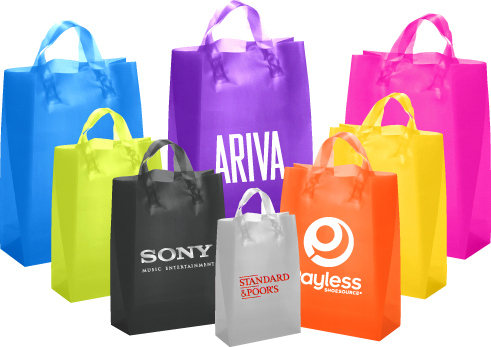 Each bag features a pinch bottom and side gussets. This 3.0 mil. 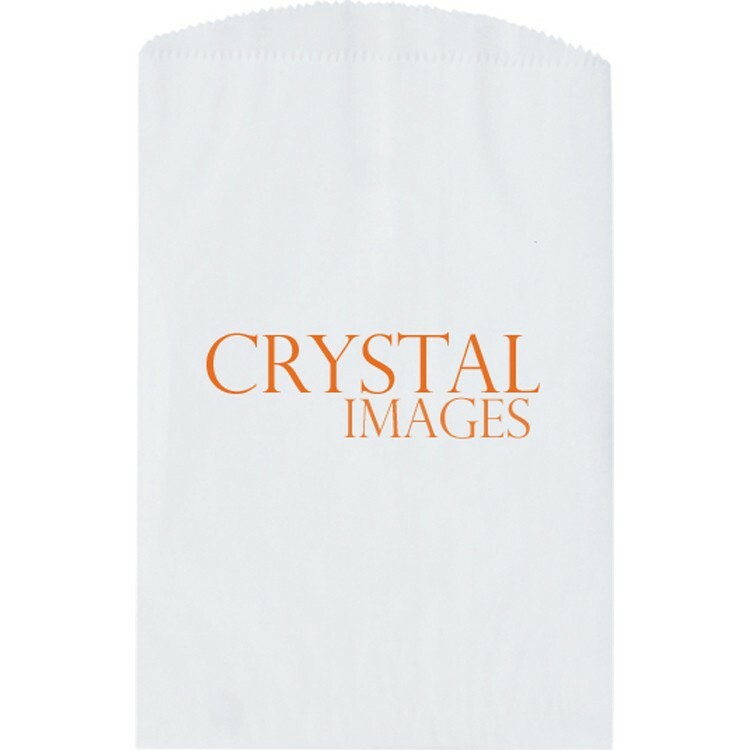 clear frosted HDPE frosted tote with die cut handles is perfect for cosmetic stores, boutiques and gift shops. Reinforced with a cardboard bottom insert, this bag is sturdy and comfortable to carry. 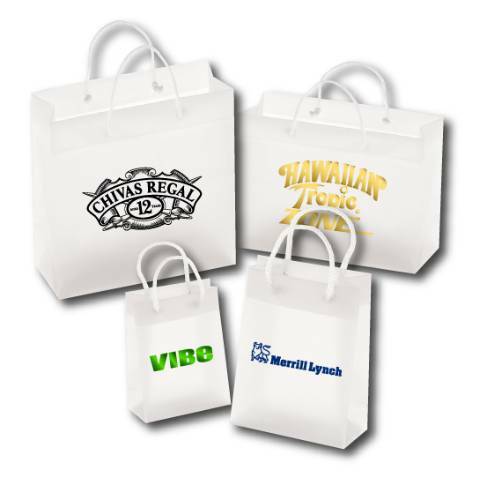 Add your foil stamped logo for a very classy looking bag! Artwork requirements: • Please submit vector artwork only. We accept .pdf, .ai and .eps formats. • If vector artwork is not available we can redraw your artwork at an additional cost. (see options). • Eproofs, virtual proofs and faxed proofs are FREE on request ONLY (please indicate on PO). • Once metal dies have been made, they are reusable and are kept for 24 months after each reorder. This 4.75 x 6.75 unlined pinch bottom cookie, candy and nut bag is a perfect choice for bakeries and festivals where food is being served. 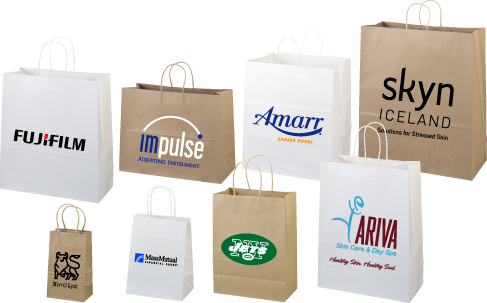 These paper bags meet the FDA and USDA specifications for direct food contact. 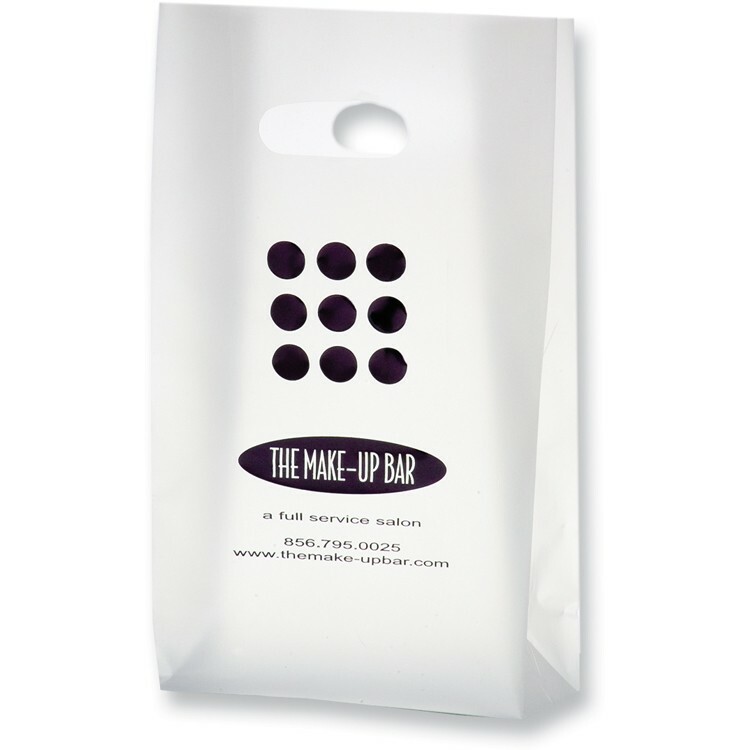 Add your custom branding with up to 2 colors per side. This 5.75x7.75 unlined pinch bottom cookie, candy and nut bag is a perfect choice for bakeries and festivals where food is being served. 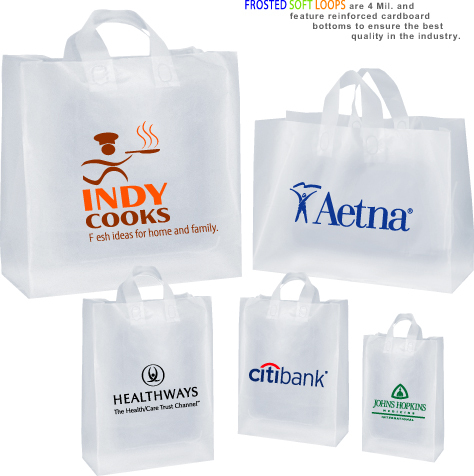 These bags meet the FDA and USDA specifications for direct food contact. 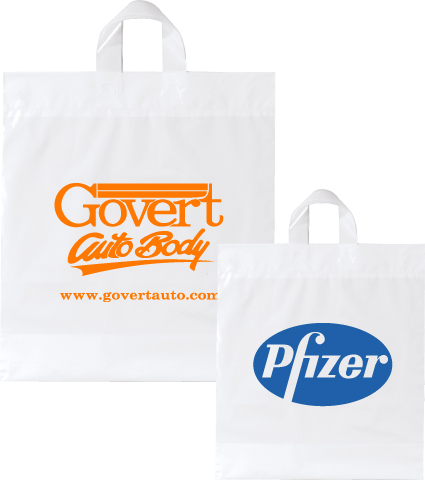 Add your custom branding with up to 2 colors per side. 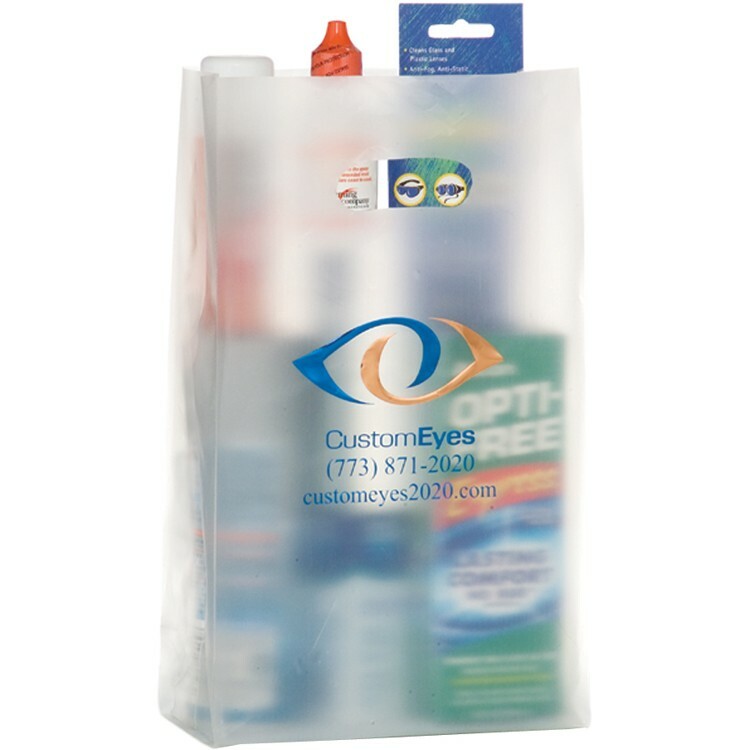 This 3.0 clear frosted HDPE frosted tote with die cut handles is perfect for cosmetic stores, boutiques and gift shops. 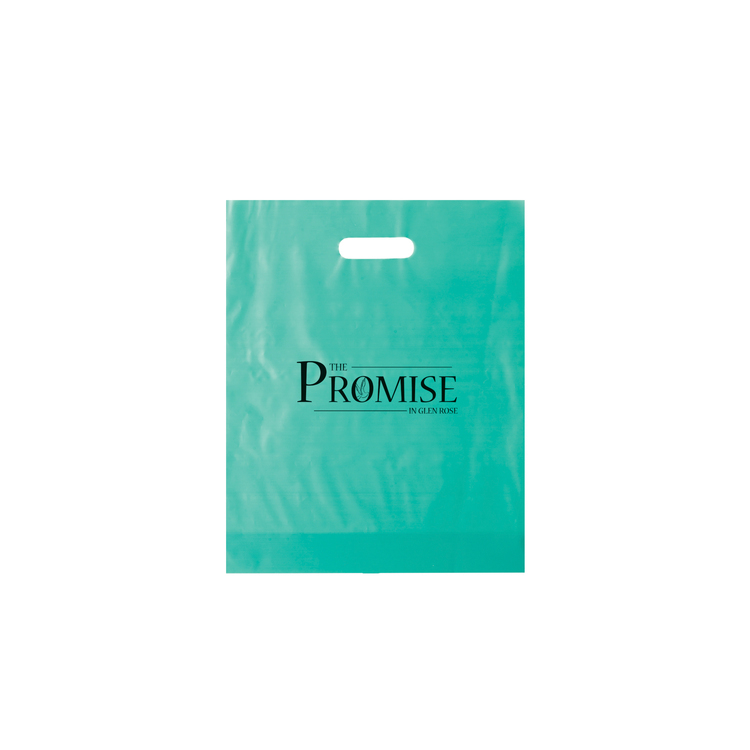 Reinforced with a cardboard bottom insert, this bag is sturdy and very classy looking. 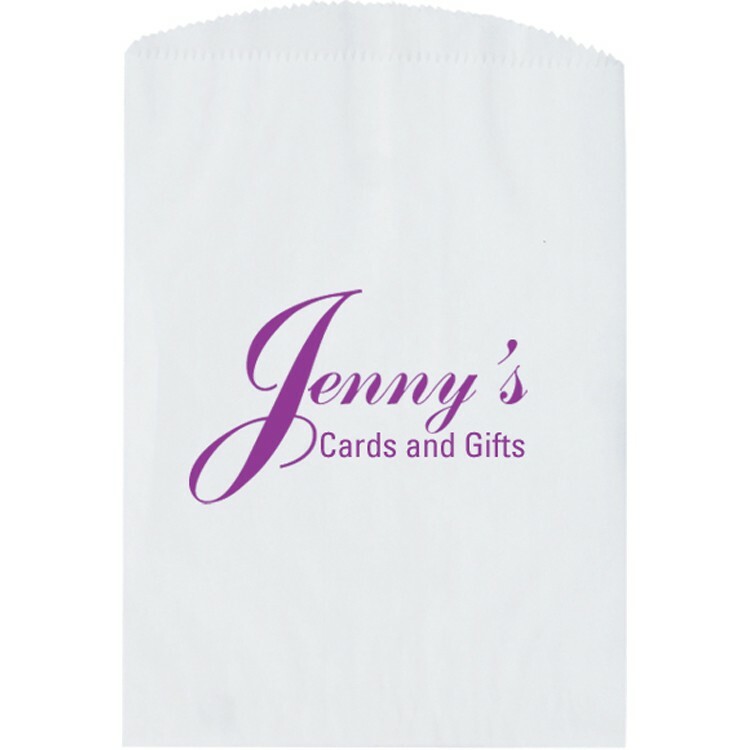 This 12x15x3 frosted die cut bag is made from 3.0 mil frosted HDPE film. 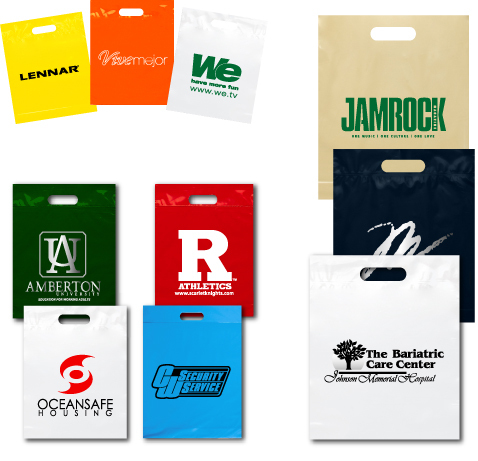 Choose from a variety of bag colors and add your own customization with up to 2 spot colors per side. 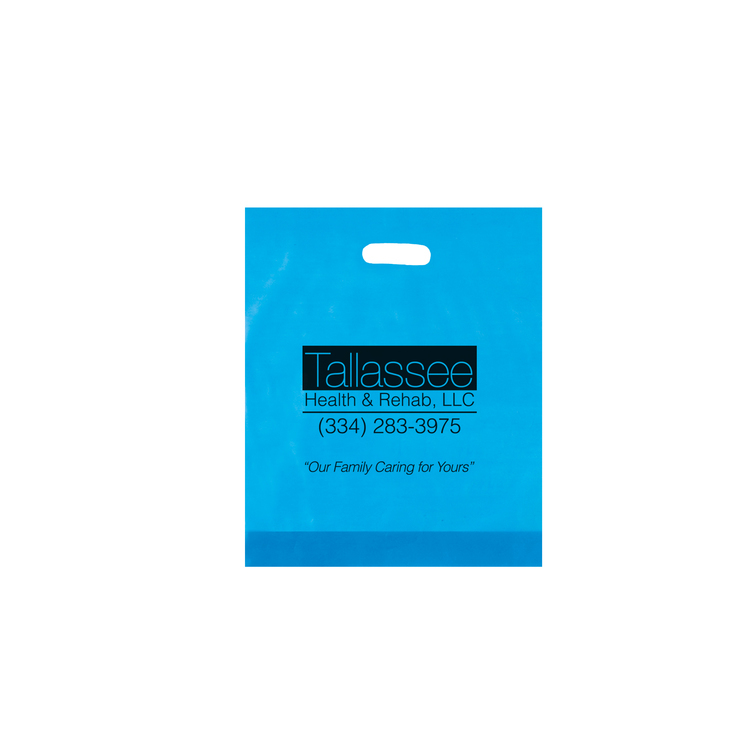 This 12x15x3 frosted die cut bag is made from 3.0 mil frosted HDPE film. 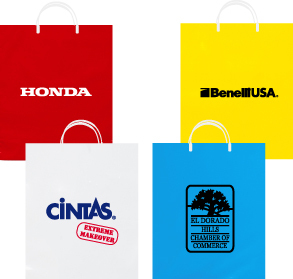 Choose from a variety of bag colors and add your own foil stamp customization with up to 2 foil colors per side.